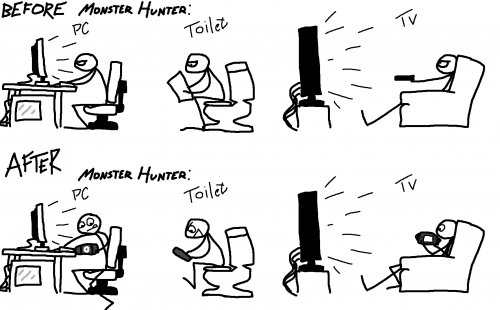 This happened to me… Except I don’t play on the toilet. never played his game. Though I am forming a bad habit of bringing my laptop to the toilet with me.